I considered titling this blog "secrets of Disney" after living what seems to be a fairy tale under the castle lights this past week, but I said, nah, too cliche. So I settled on blessed. 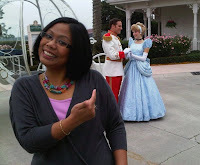 In just over two weeks, I will be christened as one the newest members of the 2011 Disney Moms Panel. I met with royalty. 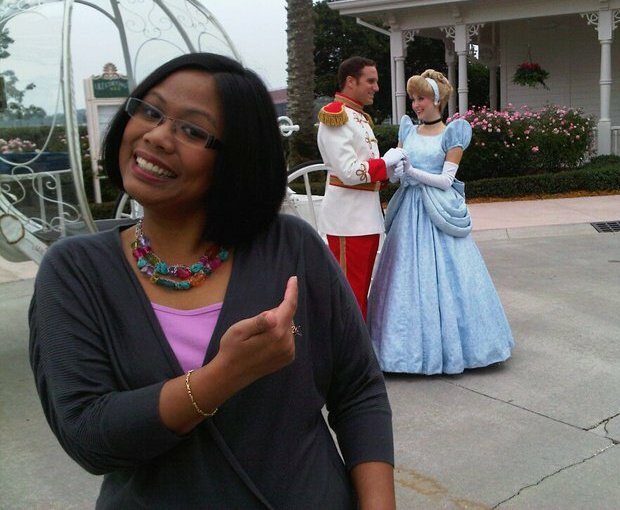 And to think...Prince Charming kissed my hand! I heard the story of Christmas told by Whoopi Goldberg and sung by a magnificent choir in candlelight. We dined at the most exquisite restaurants (ooooh, you know I had my caviar and champagne!). And we had our hair and make-up done for our glamorous photo and video shoots too. But what struck me was how 15 strangers from around the world were brought together and in a matter of days became family. We all have a passion for Disney in common. But by the end of the week, we knew about each others' families, jobs, and hobbies. We learned to appreciate other cultures, try new foods, bring out another's finer qualities. I am blessed. I have been welcomed into a new family, for better or worse. I am blessed. I have new friends to encounter life's experiences with. I am blessed. I have witnessed so much in the last month words cannot aptly describe how grateful I truly am. So yes, I settled for blessed. I hope I have done the blog post justice.